Just about every credit card issuer offers a cash-back credit card, and choosing the one that’s right for you is largely decided by how you’ll use the card. However, there are some cards that stand out from the rest because they carry certain advantages. For example, it will pay to look for a card that does not charge an annual fee. If you have to pay $50 or so each year, just for using the card, it's going to cut into any cash-back rewards you might get. 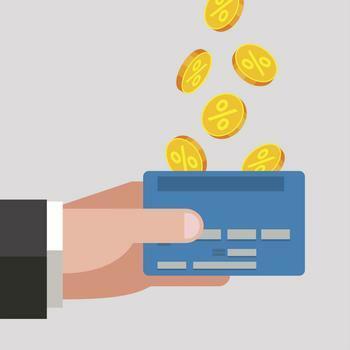 The objective is to earn as much cash on purchases as you can, and in that regard Daniel Ray, editor-in-chief at CreditCards.com, singles out the Citi Double Cash as his favorite. It pays one percent on every purchase, then rewards users with another one percent when they pay for the purchase. "Unheard of a couple of years ago"
"A card giving two percent cash back was unheard of just a couple years ago," Ray said. "Now, cards are competing to be the best among this new, more generous class of cards. As a consumer, I love the arms race and hope it continues." There are cards that pay more on certain kinds of purchases -- three percent at gas stations, for example. Getting two percent on everything you buy, Ray says, is a big deal. Personal finance site NerdWallet also picks the Citi Double Cash as the best "flat rate" credit card. But it suggests there are a couple of drawbacks, including the fact that there is no cash sign-up bonus, and the minimum cash-back redemption is $25. If you want a cash-back reward, generous sign-up bonus, and no annual fee, NerdWallet suggests the Discover It Cashback Match. The bonus is based on your spending with the card the first year by doubling the cash you've earned, up to $150. Instead of paying two percent on everything, this credit card pays five percent on different categories you activate each month, on spending up to $1,500 per quarter. If you manage to spend $1,500 on one of those five percent categories, you could earn $75 cash-back during that three-month period. John Ganotis, founder of Credit Card Insider, likes the features of the Amazon Prime Rewards Visa Signature. "It has no annual fee, earns five percent back in Amazon credit for all Amazon purchases, and one to two percent back on other purchases," he tells ConsumerAffairs. "If you don't have Amazon Prime, you can get the Amazon Rewards Visa Signature, which earns 3% back in Amazon credit." Ganotis says consumers who shop on Amazon can profit from having one of these cards, even if it is only used to make Amazon purchases. Since there is no annual fee, it's free to use, as long as you pay your bill on time and in full each month.